As much as I’d have loved to move on, it is only fitting that one talks about the game we saw last night. Terry gets sent off, Chelsea qualify knock out Barccelona, and the most surpirsing of all, Torres gets a goal. Crazy, crazy game if you ask me. Chelsea really rode their luck yesterday, I doubt Messi would have lost that penalty if it was Arsenal. That’s how unlucky we are. It was good to see an English side go through to the final again, sad to see the arguably the best team in the history of the game lose out in such manner, and disgusting to see the reactions of some Arsenal fans. We complain when ex-players talk about Arsenal, yet we find it difficult to keep our noses out of their business. That reeks of hypocrisy if you ask me. So Chelsea are in the final and they have a shot at the title which is what really gets to me. Apart from the fact that they may be the first London side to win the Champions League, Chelsea’s result in the final may decide whether or not we play in the Champions League next year. This means if we somehow manage to lose our 3rd spot to N’castle or Spurs, and Chelsea somehow win the UCL, there will be no Champions League football for us next season. Our last 3 games include visits to Stoke and West Brom, grounds we have struggled in recently and we will need to dig deep to get 6 points from both games. It is possible of course. We only need to banish the spirits that reared their heads against QPR and Wigan. It looks like our favourite Brazilian, Denilson will be returning next season. His lawyer has apparently been in London this week, with the hope of securing an extension to Denilson’s loan deal with Sao Paulo but the club have denied him permission. It looks like Wenger wants him back in time for pre-season. And with some reports stating Arsenal will look to wrap up M’villa deal before the start of Euro 2012, questions are raised over Denilson’s role in the team. Gut feeling tells me we just want him to return so we can ship him off, permanently this time. He’s in the same ship with Bendtner and Vela – those we may be looking to give away this summer. Vela has been in good form in Spain. It can be argued that he is only scoring goals because the league is easier (for strikers), and that the pressure at Arsenal was too much for him. Flip the coin and you have an amazing talent who was rarely given a chance to impress (5-minute cameos when we are losing do not count). One can only hope Wenger does the right thing. Which is exactly what he did when he ruled out Wilshere for the season and from participating in any summer tournament. But Stuart ‘The Pyscho’ Pearce has chosen to act out his nickname. Pearce has stated that Wenger cannot stop him from including Wilshere in his Great Britain squad for the Olympics this summer. That’s his opinion. I can’t change his opinion, and it’s not of great concern to me. Will any manager get a veto over who I select? Of course not. It is safe to assume that Pearce will ignore what is best for Jack who is still recovering from a year out of the game and pick him for the Olympics. Granted he may need some football to get him started for next season, but playing at the Olympics can equally make his injury worse. We surely do not want him ruled out for most of next season again, do we? Time will tell whether or not Pearce allows that nickname to get into his head. The players have been vocal, Rosicky talking about a 3-second system he’s trying to perfect with Song and Arteta, Sagna and Koscielny talking about how far they’ve come, and Szczesny staying grounded. You may want to look at this piece on RVP’s year in numbers. Interesting stuff. So that’s all from me today, Chelsea’s win yesterday just raised my hunger for a trophy. They can do a double this year! They can also end up with nothing like us, so we should not be quick to curse our luck. Plus we did not have to spend 50 million quid on a player who scores once in 2 blue moons. Podolski looks like a done deal, a creative midfielder will be in order. I expect Chamakh and Park to leave. I’m thinking do Bendtner and Vela deserve another chance at Arsenal or should we just farm them off? Share your thoughts with me in the comments. Have an amazing day wherever you read this from. Morning gooners all over, I have some good news and I have some bad news and I also have shocking news, I’ll just hand it to you hot, or cold like the weather today. 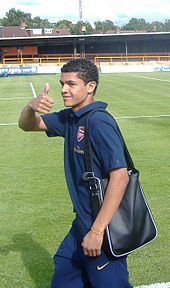 Arsenal’s much maligned and un-brazilian brazilian is leaving the club, Yes, Denilson is leaving Arsenal, finally. That’s the good news. The bad news is he’s only leaving on loan. His former club Santos have agreed to take him on a year long loan. I hope he never returns, unless he wants to sit and rot in our reserves which at the moment he’s not even good enough to play in. That’s one down, Bendtner, Eboue, Almunia to go. Remember how we said a few weeks back that we got nominated for Best Sports blog in the Nigerian Blog Awards, that’s another good news, well we did not win,(the other bad news) I don’t even if we came 2nd or 4th or if we were leading the polls and like Arsenal we crashed just before the polls closed, oh well, it was good to be recognized in the first place. And a big THANK YOU to everyone who voted. First off, I think he was high when he made this comment, because if making someone the highest paid player in the club and earning loyalty of £2M a year is ‘like kidnapping‘ then I really hope they kidnap me forever. And to add to this, Arsene is not English, the club might be but the potential owner and coach are not so p*ss off. But if we are indeed kidnappers, every hostage has a ransom fee, and until Barca meets that fee, he remains a hostage. My only disappointment in all this is that Fabregas hasn’t come out to stop all these silly and derogatory comments, instead he’s keeping mum which is disrespectful. If he really wants to leave and has told Xavi and co’ that he’s depressed, he should also tell them he’s worth £50M or at least pay the £45M the club is demanding. He’s losing respect of the fans as each minute passes. Theo Walcott has come out pleading to be played as a centre forward claiming he’s ready to reveal his ‘Thierry Henry’ so as to be the other 15-20 goals a season striker in the club, a claim I wholeheartedly support. He gets a lot of stick for someone playing out of position and despite that he still does well. Play a couple of strikers on the wings and let’s see if they’ll flourish. I pray Arsene listens to him. From wherever you are, have a swell day, I wish I could wish the same on me. See you in the comments. 4 Star Gunners Win|Denilson’s fate sealed? Arsenal began their pre-season preparation with a comprehensive victory over a Malaysian XI in a game played under the uncomfortable heat in Kuala Lumpur. The starting XI comprised Szczesny; Jenkinson, Koscielny, TV5(C), Gibbs; Song, Wilshere, Ramsey; Miyaichi, Walcott, Cham29. We dominated proceedings right from the start and after Wilshere was hacked down in the box on 5 minutes, Ramsey converted the resulting penalty. Miyaichi and Walcott were doing well with their pace on the wings but they could have done a lot better with the end product. We were in control of the game and Ramsey was having an outstanding evening. Eight minutes before half time, his delightful chipped pass to Walcott was lobbed over the keeper by the Englishman. 2-0 at half time and we were cruising. The second half brought massive changes with Mannone, Squillaci, Djourou, Traore, Vela, Frimpong all coming on. The Malaysian side had Kunanlan Subramaniam who sometimes threatened on the left flank with his sheer pace but they had nothing to show it. Our third goal soon arrived, courtesy of Carlos Vela who beat the keeper with an audacious chip. This is somewhat becoming a trademark for him. It is great to see Vela among the goals again. He has had a lot of troubles making an impact at the club. He should get his chance next season and we will be delighted if he can contribute significantly when the real business starts. There was no denying this Arsenal team a win but we added a cherry on the cake. Arshavin who had come on in the 66th minute; after a mazy run chipped a wonderful cross into the path of Rosicky. The Czech Republic captain headed in with precision. 4 nil and game over! It is worth mentioning that we were sporting the away jersey in this game. While I love the colour of the kit, I have my reservations concerning the crest. The design just does not make me excited. But one man looks as though he won’t be wearing that kit for long. Brazilian midfielder Denilson came on at half time and was substituted on 66 minutes. Arsenal fans have been angered because we felt, like other members of #TeamDeadwood, Bendtner and Almunia, the Brazilian should not have travelled with the team. It is as though Wenger needed just 20 minutes to realize that Denilson is not in his plans for next season. Hurray!!! 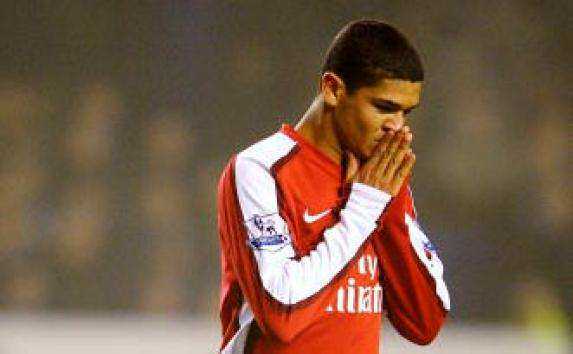 Wenger has finally seen how poor Denilson is. The Brazilian was visibly disappointed with the decision and instead of returning to the bench, he headed straight to the dressing room. It is interesting to see how Wenger reacts to that. A move is already on the cards I should think. There you have it gooners! Solid debuts from Jenkinson and Miyaichi, Vermaelen and Ramsey also put in great performances. Our season opener, and the goals have started pouring again. It is particularly great to see us keep a clean sheet. Are we sure Wenger will not see this as a reason not to sign defenders for the coming season? I hope not! For Arsenal, its back to training for the players, time to shed the weight gained during the summer break & get in shape. On the transfer front though, its a dull morning, a very boring one. Oh wait, no its not, Arsene Wenger has reportedly said Nasri isn’t going anywhere, not even for £50M. Way to go Arsene, don’t be bullied into selling one of your top players. So I wonder where DailyMail got their headline that says City have clinched the deal for Nasri. I’m not going to complain and say this needs to be done, quality players need to come in & the dead players need to be expunged like rodents in a fumigated apartment. Or go on about how Arsene needs to change his approach, and how the board needs to be replaced. I’m tired of arguing or complaining for or on behalf of Arsenal because I’m sure you all know & see what’s going on and we don’t want to sound like a broken record. Fabregas isn’t going anywhere. Daddy Wenger has spoken, unless of course Barca stump up the £40M being quoted. If Fab really wants to leave(which all we Arsenal fans now seem to want) then he should make Barca pay up or shut up, he still has 4 years, so if they don’t pay now, they can always come back. All I know is, with the right signings in the right positions Fabregas WILL STAY, Henry left only because he wasn’t ready to play Moses to a young cast. Surround Fabregas with winners and watch how his attitude would change, not fashion divas and clowns and sorry excuses for footballers. • Gary Cahill & Samba should have also signed, well at least one of them as Clichy has gone and I don’t want Gibbs as his replacement, rather see TV5 there. • Eboue, Rosicky, Almunia & Denilson should all be frozen out of the team just like City have done with certain players or told to find new clubs. Squillaci too should be on that list. •And most importantly, try not to lose any of our reported targets a la Alvarez. There you go, oh before we leave you, newspaper reports have it that Alex Song might be ‘on his way out of Arsenal’ and into Fox River Prison for not assaulting a young girl in Cameroun, well from us to you out there, assault someone so as to avoid jail because not assaulting will send you to jail. From wherever you’re reading, have a swell day and keep Arsenal in your prayers. Just a quick one gooners. This week has been dominated by the infamous Cesc story which was first run by the usually reliable BBC. It is imperative for me to state however, that I still cannot “totally” believe the entire story; this is because there was no credible name mentioned, and that gives the BBC plausible deniability should there be any trouble. I used the word “totally” because I believe that behind virtually every rumour is a pointer, and an element of truth, no matter how minute. And to those basing their assumption on the photo shoot for the new away kit, let me point out to you that Van Persie was absent too. And RVP is as loyal to Arsenal as they come. Apparently, Nasri also tweeted that he loved the new kit too, so the story can go either way. For all He said last season about this Arsenal team not having his winning mentality, Denilson would be brave to stay with us surely. Life as an Arsenal fan is fun, isn’t it? We are struggling to keep our top players, Fàbregas, Nasri and Clichy; and also struggling to get rid of the deadwood, Denílson, Squillaci, Bendtner and Almunia. Some Arsenal fan even put Denilson up for sale on e-bay! That shows you how much we want him out of the club. Now we’ll be probably stuck with this “winner” for another season and since he won’t get anywhere near the first team ( fingers crossed), we’ll be paying him just to train. Left to me, we could always give him away for free. For some reason which I cannot explain (and I doubt anyone can), July 1st has become the day of salvation for gooners; that day we look forward to for the fulfillment of our dreams. We believe for some strange reason that our signings (God let there be more than one!) will be announced on that day. I am as desperate as you all are for signings but a mate recently pointed out to me that we have never announced a signing on July 1st! If this is true, I wouldn’t get my hopes up if I were you, but what is to say we cannot begin that trend this year? So while I’m hopeful that July 1st will be that glorious day, I won’t hold my breath though, with the knowledge that it might be like just any other day….rumours, rumours and more rumours! It’s a wrap guys, let’s hope Wenger can surprise us all and pull something off this week. One thing’s for sure though, we won’t be starting next season with exactly the same set of players. Have a splendid day wherever you are reading this from. Remember to follow us on twitter @goonermemoirs for Arsenal news as they break. See you in the commments! Arsenal to miss out on Falcao and Samba? I think it’s a fair assessment to imply that we Arsenal fans have become used to a certain calibre of players being associated with the club during transfer windows. I know, as an Arsenal fan that when a star name is involved, say someone like Benzema or Sneijder, I expect Arsenal to be bullied by other clubs. I also respect the amount of work that Wenger has done on a shoe string budget; I mean, scouting the world for inexpensive talent, grooming them to fit, and still keeping the club competitive isn’t quite an easy task. However, I believe there is a limit to the tightness of this budget. If we cannot attract the Neymar(s) and Pastore(s) of this world, we should at least be able to afford a player like Odemwingie (no disrespect to the Nigerian), and be able to keep our own star players. While we cannot exactly judge what “peanuts” in this case means, we know the way these things are at Arsenal. Flamini left on a free because of wage-related issues; we gave arguably the best left back of his generation, Ashley Cole to Chelsea simply because he demanded a “slight” increase in wages. The top defender we got in the deal with Chelsea, William Gallas was also lost to Spurs because of difference in wages. As I type this piece, we are on the verge of losing Nasri and Clichy over the same wages issues. It is high time Arsene realized that the world does not move the way he thinks; I mean in a world where Yaya Toure and Tevez earn over 200k a week. Even Balotelli earns more money than RVP! Would you then blame Nasri for asking for 110k? Or you think these guys do not know what their counterparts take home? Yes, I get it, players should be committed, be ready to make sacrifices… but put yourself in their shoes; can you confidently say, you have never thought of getting a pay rise at work or even contemplated quitting a low paying job for one with a better pay packet? It is the way the world works, footballers are in this game for two things, the glory (trophies) and the money but at Arsenal, you do not seem to be getting either of those. Take note, I am not too excited about the idea of signing Odemwingie, neither am I in favour of over-priced players or expensive signings. I just feel the club needs to be a lot more flexible with its wage structure. A few thousand pounds here and there doesn’t mean the club will go bankrupt all of a sudden, does it? Fans hoping we can bring Radamel Falcao to the Emirates this summer can as well forget about it. I very much doubt he’ll leave Porto this summer, but even if he does leave (assuming he moves to England), I can bet my pension it will be to Chelsea. This needs no explanation, I suppose but just to make my point clear. Last month Falcao says he is committed to the Porto cause, but when his manager Andre Villas-Boas resigns two days ago, with an eye on taking over at Stamford Bridge, Falcao suddenly becomes open to a move to Chelsea. Simple logic tells you Villas-Boas may be bringing some of his Europa League-winning players with him from Porto, same way Jose Mourinho did. Okay, let’s assume he was undecided on whom to join between Arsenal and Chelsea, you and I know that when the bidding war begins, we’ll get pushed aside, not because we cannot match Chelsea’s bid (or can we?) but because they will offer better, or dare I say, more realistic wages. Falcao is a top class talent and is someone that will really improve our squad, but at 70 or 80k per week, with the tax situation in England? Sorry, he won’t sign! I do not know how long it takes to sign a player but I should think we take the longest. Gervinho has been close to signing for us for over two weeks now and yet, there is nothing official. While some are reporting that the deal has been done, I won’t believe anything until it appears on Arsenal.com. 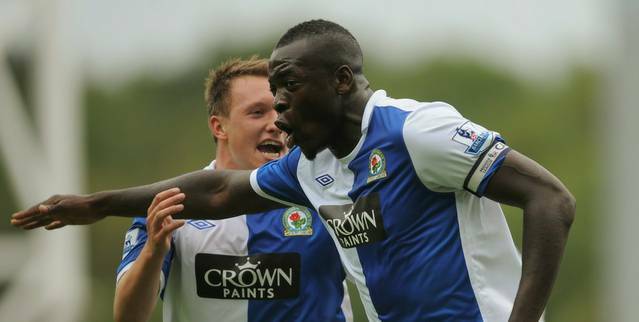 And for all the noise of being also “close” to signing Christopher Samba from Blackburn, we learnt that the club has just slapped a 12million price on his head, albeit after admitting the lad wants an Arsenal move. One begins to wonder, how close were we then? Will still go ahead to sign a player he values at 8million for 12million? Lots of questions arise from these events but there is only a few I can take for today. A lot of names have been linked to us; from the obvious (Gervinho, Samba, Cahill), the surprising (Eto’o, Ricky Alvarez, Benzema), to the outright ridiculous (Barton, Taarabt). But for all these, we have only signed a back up right back from Charlton. We have not gotten rid of the deadwood a la Denilson, Almunia, Squillaci, Bendtner, Eboue yet. If anything, it only comforts me, knowing that it means there is a lot of business to be done in this transfer window. This post comes off the back of a sleepless night, no thanks to this terrible cold I have. It’s a cozy morning in Lagos today; I’ll just take advantage of that and begin my “night”. Have a great day wherever you are reading this from. Our schedule for the 2011/2012 season was announced this morning and it is worth noting that we kick off our campaign on arguably the same ground our we began our decline last season. St. James’ Park it is, the venue of the infamous Newcastle comeback to draw Arsenal 4-4, in a game they were 4-0 down at half time. It will be important to start our season on a good note and also exorcise the ghosts of that game. Cesc may have expressed his love and admiration for Barcelona, but he insists he is committed to the Arsenal cause. He also believes that we have what it takes to win major honours. So it is as though Cesc is not only happy at The Emirates, he is confident we can win things. We all share his belief and it’s up to Arsene to get the required players to push past that finish line. Reports making round have led us to believe that Arsenal is seriously considering a move for Inter Milan striker Samuel Eto’o who yesterday, made it known that he’s keen to test himself in the EPL. The lad is 30 years and this may represent his last chance to make a big move to another of Europe’s major leagues. If there is player who defines the word “proven”, I doubt there’s anyone who fits that bill better than Sammy. Whether an approach from us will be rejected is yet to be known. There have been talks of a money + player deal involving Nasri but I’m sure most gooners will prefer a straight cash bid in the region of £18m and Nasri staying with us. One downside to the Eto’o story however is his nationality. The Cameroonian will be off to the Nations Cup in January and will be away for probably a month. We already have Song, Chamakh and maybe Gervinho leaving. Sammy’s departure will leave us with only RVP. That’s a great risk, considering the Dutchman’s affinity for injuries. In other news, reports have surfaced that our offer of Denilson in part-exchange for Shakhtar’s Brazilian midfielder Douglas Costa has been rejected. The Ukranians are said to be uninterested in Denilson, and who can blame them for that? It remains to be seen how we react to this. Personally, i will take any deal that rids us of Denilson. Also, Gael Clichy’s agent Yvan Le Mee has come out to say that his client’s future at Arsenal will be decided in the next two weeks. Clichy has refused to sign a new contract at the club and with his contract expiring next summer, the club will be willing to sell him now to prevent him from doing a “Flamini” next year. That’s about it. we should seal moves for Samba and Gervinho this weekend. Cahill may be added to the mix if Wenger is happy enough. Trust us to bring you details of those deals as they happen; and you can follow us on twitter @goonermemoirs for more Arsenal stuff. Have a swell day mates! Nasri et al: Another Perspective + New Signing Announced. So the transfer window opened over a week ago to the delight of us Arsenal fans. We are expecting Arsene Wenger to right the wrongs of last season by bringing in the right players to take us past that finish line we have flirted with these past 6 years. We have been linked with a lot of players, Parker, Baines, Vertonghen, Gervinho, Benzema, Higuain, even Defoe! These men are all good players in their own rights, with each having what makes him tick. However, one thing we did not prepare for is Arsene’s own “children” turning against him. The players for whose sake Arsene has been criticized these past 5 seasons have also seen the flaw in their mentor’s project. Let’s take a closer look at three players who seem unsettled in North London, Denilson, Bendtner and Nasri. The Brazilian came in form Corinthians as captain of the Under 20 side, just after captaining his national side to victory in an international tournament. Normally, since he was neither European nor a regular in the national team, he would not have been given a work permit a la Vela. However, he was not sent on loan because apparently he was granted a “special talent” dispensation by the F.A, same reason Chicharito was able to transfer directly with Man United. But what did we get? A lazy, one dimensional, big mouthed lad who cannot track back to save his life! Yes, he pops in with the occasional long range shot or freekick, but we expect more from him. The emergence of Wilshere last season showed us how poor Denilson had been; and the Cesc-JW-Song trio is way more effective and more dynamic than the Cesc-Denilson-Song combination we were used to. He has expressed his intentions to leave and I think this is good news as we get to rid ourselves of some deadwood in the team. If Nikky is half the player he and his father/agent think he is, we should probably be celebrating a trophy from last season. Nikky B needed just one good shot to throw Barca out of the Champions League but our man fluffed his lines, not for the first time too. Bendtner is direct and unpredictable, a trait which helps atimes. But when we really needed him to stand up and be counted, he’s been found wanting. Granted, he has not been helped by Arsene’s insistence on sticking him out wide, but that cannot be the reason for a notoriously-poor first touch and his inconsistent performances. Although, he believes 100% he should leave, I won’t mind having him for another season. However, if we are preparing to bring in a good striker, say a Benzema or a Falcao, I would gladly drive his car to the airport. Let’s get one thing straight here, newspaper reports may not be 100% accurate, but if the reports of him considering a move to United are true, then he should be shot! The man, Samir I do not know but Nasri is one player I love so much, so I’ll give him that benefit of a doubt. Nasri is an outstanding player, one of the few world class players in our team and the previous interview may just be a publicity stunt from his agent. We need to keep our best players and Nasri is definitely one of them. It will be painful to see him leave but if his heart is set on not renewing his contract, he should be let go. We should only keep players who want to leave and this includes Cesc! I still think he’ll stay and Wenger should just give him the wage a player of his caliber deserves. A quick look at the other players in the departure lounge at Arsenal and it is as though Eboue is the subject of 5million quid bid from Premier League newcomers Queens Park Rangers. Great character, great personality but poor player of late, and he might just leave this summer. Almunia also looks to be on his way back to Spain to “resurrect” his career, with Rosicky also having his days numbered at the Emirates. We are delighted to announce that promising defender Carl Jenkinson, 19, has arrived from League One side Charlton Athletic. His signing was confirmed as young Gunners Benik Afobe, Chuks Aneke and Oguzhan Ozyakup also pledged their futures to the Club. And there you have it, some players we do not want to lose, others good riddance! We did not capitulate when Vieira or even Thierry Henry left Arsenal; one thing is for sure, we are not about to crumble simply because some lads are holding this great club to ransom. After it became clearer than a mirrored reflection that our season was going to end in ruins and possibility of not making the champions league group stage, the cries and moans for top signings and eye-popping(for Arsenal of course) amounts to be spent to get them became the favorite chant & anthem between disgruntled gooners. But like many devoted Arsenal faithful I beg to differ, allow me explain. Ever Since the move to the Emirates, we’ve bagged the tag as the nearly men, in that we perform so good then when March comes( the business end of the season) we crumble and fail to cross the finish line. In any endeavors/sport/business no one remembers those that tried their best, its those that win or make it past the finish line that get all the adulation. So instead of going for Marquee signings, to which we have plenty of that not just in the right positions, I say we go for the right players in the departments we suffer the most. Our defense has always been a problem ever since the Invincible’s defense retired or left and only got worse when Toure also left. Everyone says Vermaelen would have made a difference if he was fit, I say that’s arguable. He could have been a one season wonder or he could have struggled defending alongside Kozzer or Squid. The continued lack of height in our back 4 is also a problem even Vermaelen with his superhuman jumping skills can’t solve. Why? This season, we conceded over 22 goals from set piece situations which is the same amount we conceded last season with Vermalen fit. Moving on. So what do we really need come July 1 and beyond. Here are the three important aspects that need to be addressed and the contenders I think we should consider. Tall bruising defender needed, someone good at both offensive and defensive set piece situations. Must be a vocal leader on the pitch and in the dressing room. Christopher Samba : Fits into the role, at 26 is at a ripe age, vocal leader and no nonsense defender capable of playing as a striker also. Only flaw or worry is when it comes to Champions league football as many think he lacks the experience. So does everyone else we’re linked with. Leighton Baines : Had a stellar 2011 and has been linked based on Clichy’s stalling on a new contract. Would be a welcomed addition, I don’t no if he’s an improvement on Clichy defensively but he’s not error prone, his attacking play is unrivalled in the league and is a set piece threat. Combatant, ball winner, leader as well, can hold his own if the likes of Fabregas and Nasri are missing. Seeing as Denilson’s depature is imminent along with Rosicky and maybe Diaby we need at least ONE midfield signing with word inside the club that some youngsters would be promoted (the likes of Miyaichi, Lansbury, Emmanuel-Thomas). Scott Parker, Eden Hazard, Stewart Downing, Alvarez. Scott Parker : on pitch leader and dressing leader, premiership experience and able to make the transmission between attack and defence. At 30 is the kind of signing we need for this young team and he wouldn’t cost much. Eden Hazard : has repeatedly flirted with Arsenal and at 20 and ligue 1 player of the season he might just fit well into our system. Nasri is still stalling on a contract and Hazard would be a great signing as he’s first of all, a classic winger equally adept on both wings and can play just behind the striker. Fit goal scorer needed, someone with quality, that can bag the goals with another striker beside him or alone. Must be consistent and not injury prone, and hardworking. Gervinho & Benzeama : Two players AW has highlighted as interesting and the kind of players that would fit into our style of play. Both young, both agile and capable of bagging goals. Gervinho is not what you’d call a proper striker more like an attacking forward that can play behind the main striker or on the wings in a 4-3-3 formation. So there you have it, not superstar signings but key and important signings that just might be what we need to get us pass the finish line. With money coming in from impending departures, and at least 40M transfer budget, lack of funds cannot be used as an excuse or the lack of players. Come July 1 let’s make these deals and at least pacify the fans. From wherever you’re reading, have a wonderful day. No Arsenal games…only some really interesting news. Despite the fact that Arsenal has caused me untold suffering this past few weeks, I feel even sadder when I don’t have the opportunity of watching us play. The International break is on us and I have mixed feelings about waiting almost 11 days before our next fixture. I will have to endure two weeks of abuse, two weeks of teasing from my Arsenal-hating pals on my team’s dismal performances. However, the break also gives most of our injured players enough time to recover. There are 14 gunners representing their countries in different parts of the world and you trust us to bring us any news concerning them. So I came across this news article about a player we could have signed. Not that it’s the first episode of a “players Arsenal almost signed” series which features the likes of C. Ronaldo, Essien, Drogba, and Ibrahimovic; but I’m miffed as this particular player would have arguably made a difference in any Arsenal side. Chelsea’s current number one, Petr Cech revealed yesterday that we missed the chance to sign him in 2002 because the Arsenal scouts though he was not good enough for the Premier League. You would wonder what the scouts were thinking when they recommended jokers, Almunia and Fabianski as “good enough” for the League while a world class guardian did not make the grades. One only needs to look at their part in Van Persie’s sending off during our game at the Camp Nou, or the defeat at home against Inter Milan for evidence of this. Just when we thought we could heave a sigh of relief over our injury worries, Nikky Bendtner has reportedly sustained an ankle injury in training. Let’s hope it’s not something that will put him out for more than a week. Talking injuries, it feels good to have Aaron Ramsey back in the side and he could have made the best of comebacks had he managed to convert his chance against WBA. He feels like a new signing, a lot better than Denilson, more mature and slightly better than Wilshere in my opinion and a possible replacement for Cesc when the latter decides to go “home”. He’ll be involved in the game between Wales and England and it will be interesting to see how far he’s gone with his recovery and how he performs when he comes up against Wilshere. Most gooners seem to believe that we have an easier run in than Man United and as such we should win the title, but need I remind you that last season, we had our easiest run in in years. Our next 9 games this term are: Blackburn (H), Blackpool (A), L’pool (H), Spuds (A), Bolton (A), Man United (H), Stoke (A), Villa (H), Fulham (A). Without any doubt, we played relatively smaller teams last season, but we all know how that went. We need to take this games one at a time and see how far that takes us. This team hasn’t been playing the best football of late and it will take quite some character to put the disappointments of this campaign behind us and wrestle the title back to North London. We can win the title, definitely, but even though I’m as optimistic as gooners come, I just have this doubt we’ll choke AGAIN. I hope and pray I’m wrong. 2nd place in the League is an improvement from last season though, that’s if we ignore what might have been. However, to all Chelsea fans thinking we’ll finish below them, IT WILL NEVER HAPPEN… at least not this season. Enjoy the Interlull gooners, we have a week and a half before the pressure returns.